In Love Never Dies the principal characters of The Phantom of the Opera continue their stories in Andrew Lloyd Webber’s new production. Do you enjoy a bit of hysterical camp humour? Matthew Bourne’s triumphant modern re-interpretation of Swan Lake turned tradition upside down, and took the dance world by a storm. 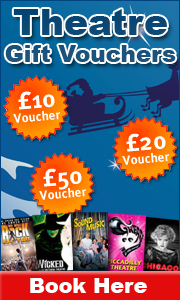 We have today launched a new site for cheap London theatre breaks – www.CheapLondonTheatreBreaks.com.